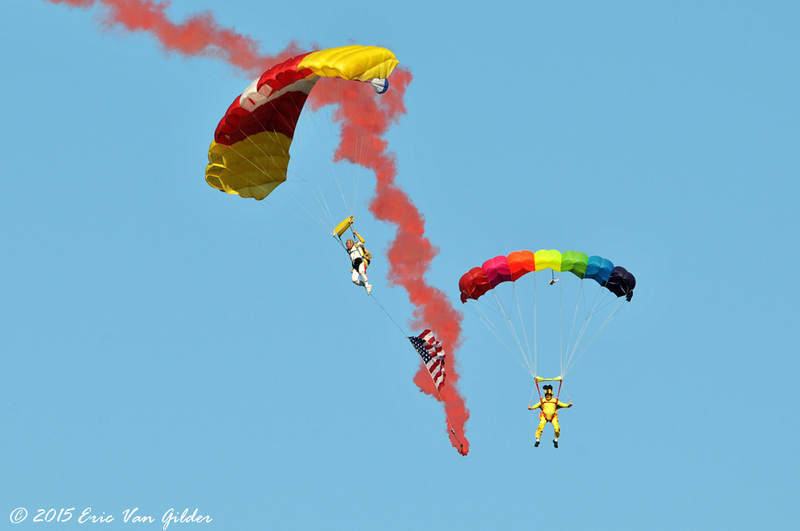 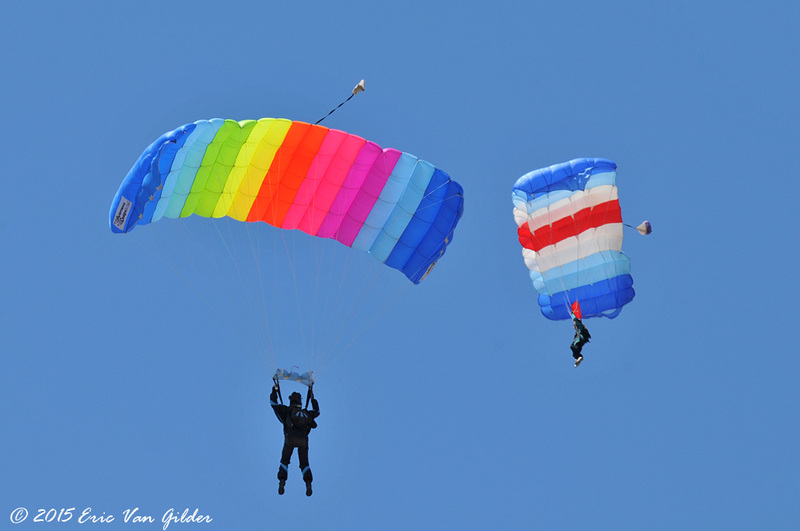 The Just In Time Skydivers perform jumps at many shows in Southern California each year. 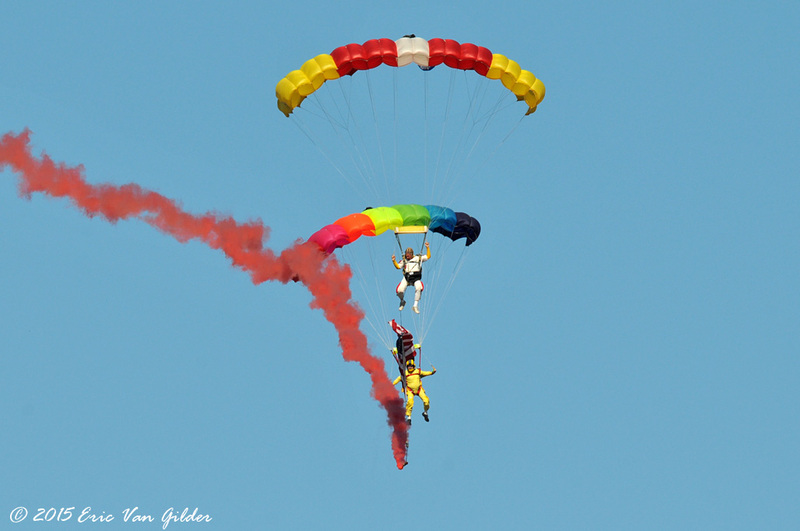 They did two jumps during the show. 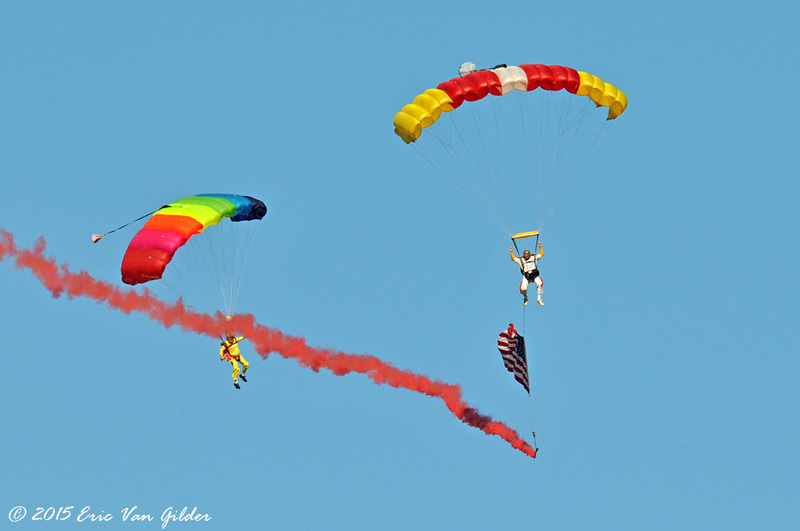 For the morning jump, Rich Piccirilli carried the American flag for the National Anthem. 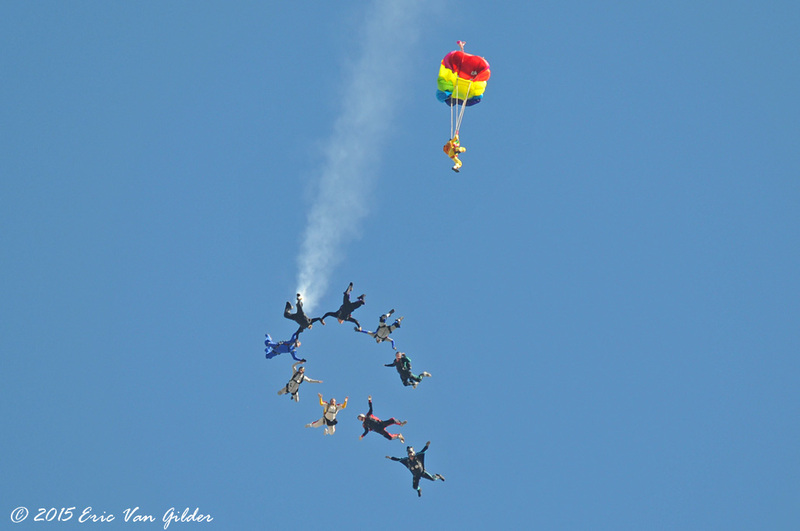 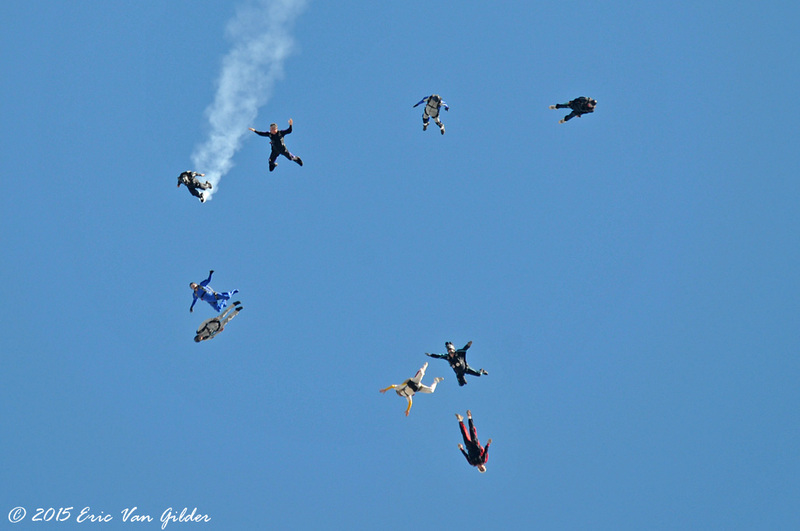 After they jumped from 10,500 feet they formed together for a spinning 8 way with two other jumpers filming. 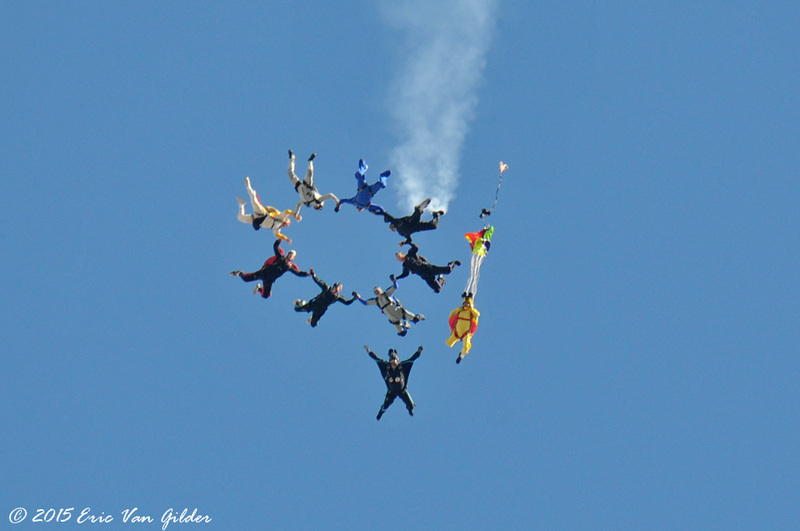 Besides Ric, the other jumpers are Tom Sanders, Randy Forbes, Abe Villanueva, Bruce Hofer, Mike Sherrin, John De Santis, Myles Elsing, Mike Swan, and Lynn Fogleman. 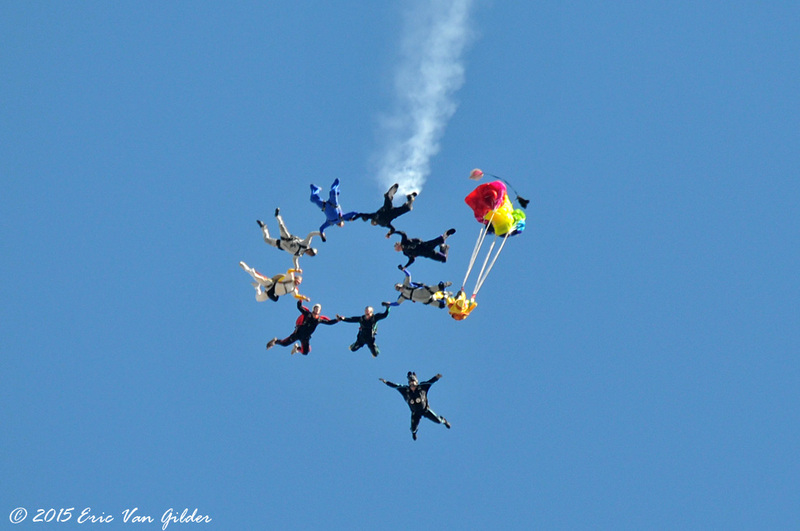 They did a great job forming up for the 8 way in a short period of time.